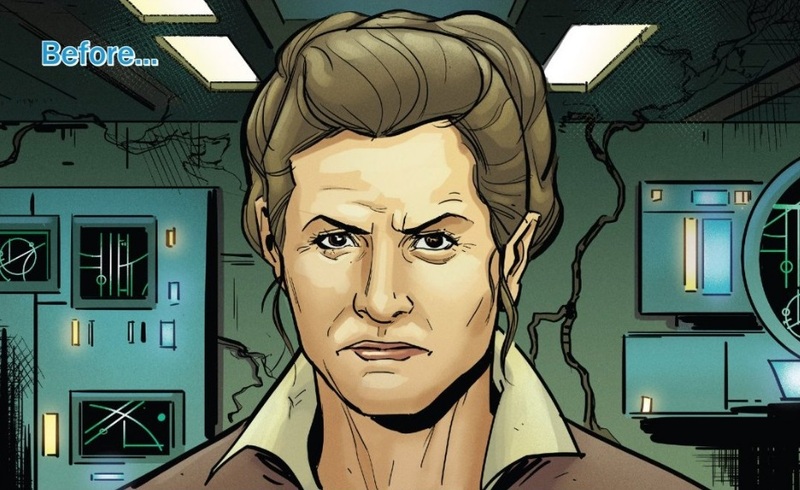 As is customary with an annual, Poe Dameron Annual #1 brings in a new writer to take a stab at the series and characters. This also means a new art team, a new look, and a one-off story to give readers a break from the normal and a chance to try out something new. There’s an interesting cyclic element to the story that Thompson uses to show the relationship between Leia and Poe. It opens with her admonishing him on his last mission and giving him a warning to be more careful. Later on, we see this same scene played out again, but a little differently. 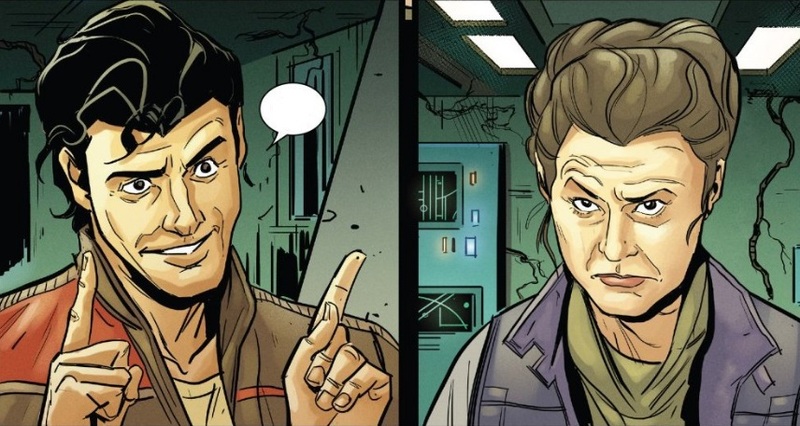 Then finally in the end there’s a third iteration where Poe begins to earn some points in Leia’s eyes with his actions. 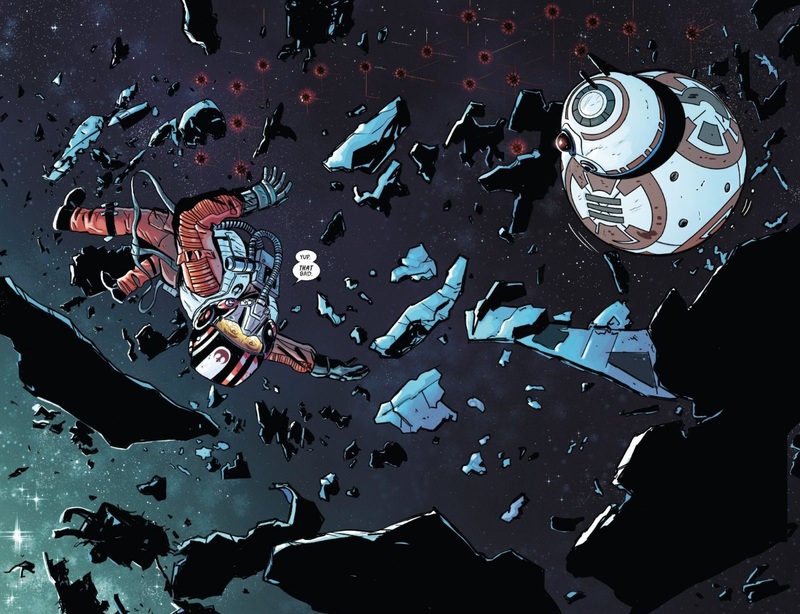 Meanwhile there is a story in between those moments where Poe finds a ship in the middle of a minefield, crosses paths with the First Order, and pulls off a small win for the Resistance. 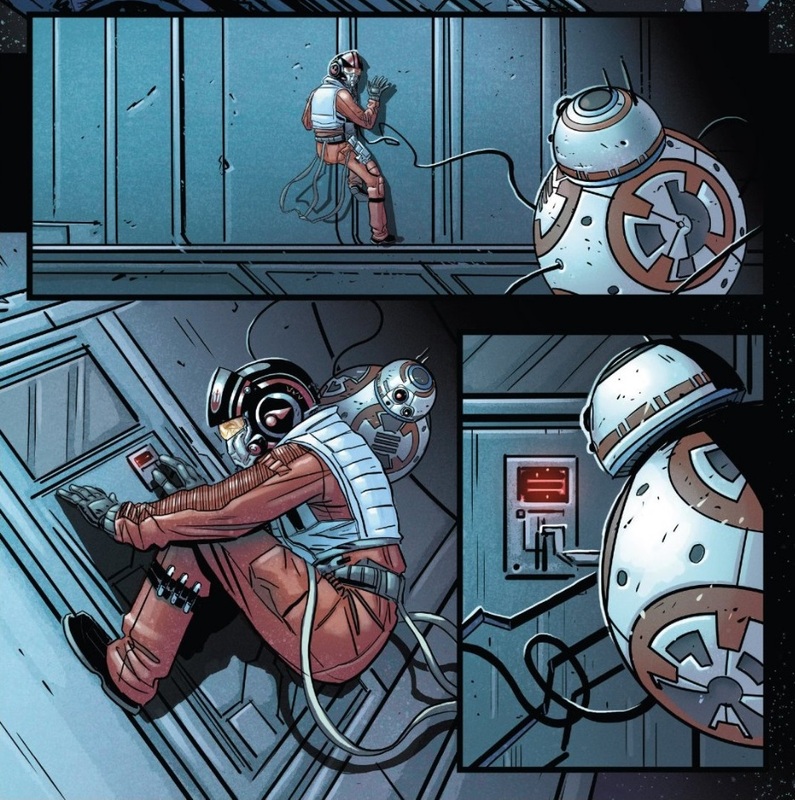 Overall it’s a nice team-up comic between Poe and BB-8 as they have their own little adventure and lots of banter between each other. The one thing is really shows is just how much Poe loves his droid. On the other hand, it does tie into the main series by revealing a clue for Poe and a possible direction for the next arc or two. The art is a little cartoony and there’s a lot of leeway with the character likenesses, but it’s consistent and does a good job of bringing the story to life. The action scenes are easy to follow, there’s good transitions, the characters’ emotions come through well, and it tells the story visually. It’s not the best looking artwork, but it works. 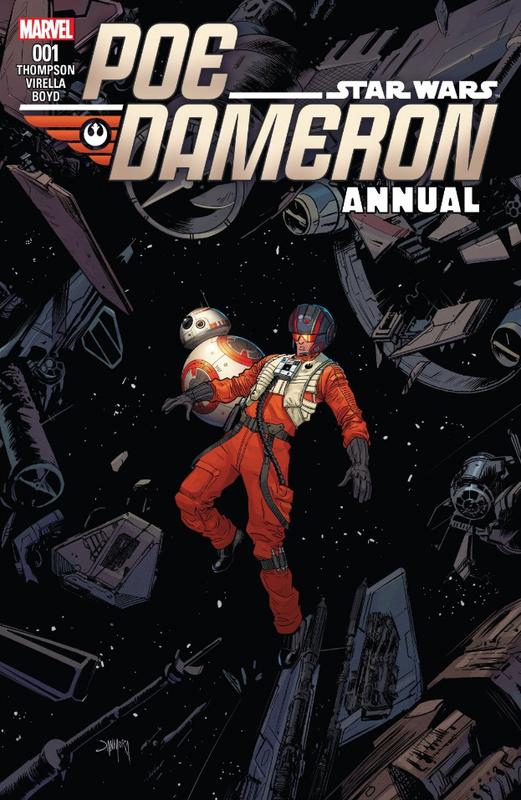 As a departure from the Poe Dameron series, Poe Dameron Annual #1 is a fun little read with lots of Poe and BB-8 focus. Thompson does a good job with the story, and I wouldn’t mind seeing more from him. However, I would like to see him teamed up with a better art team. With some better visuals, this comic could really shine. As is, I give it a three and a half out of five metal bikinis.